A United Airlines Boeing 737 Max sat on the tarmac at Kahului Airport on Wednesday after arriving from Los Angeles and its return flight was canceled in the wake of the Federal Aviation Administration’s order to ground the jetliners. 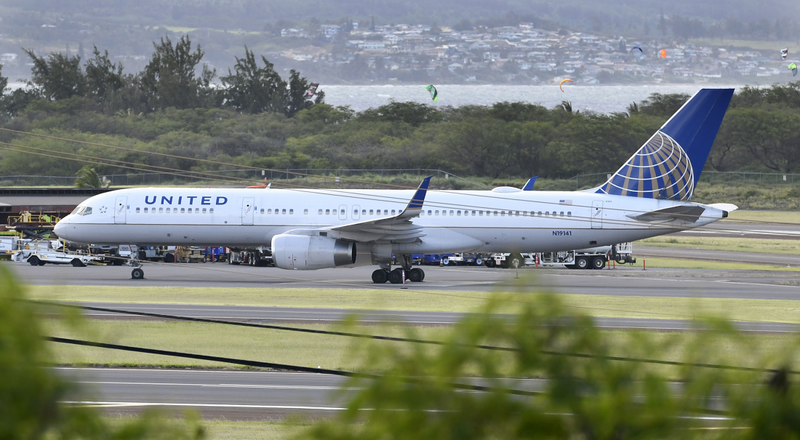 United Flight 417 arrived at Kahului Airport at 11:18 a.m. and was grounded until further notice, said state Transportation Department spokesman Tim Sakahara on Wednesday. The return flight to Los Angeles, Flight 706 set to leave at 12:49 p.m., was canceled. The United website said that Flights 417 and 706 were canceled Thursday. United suggested flyers go to the United app or united.com to view and change reservations. Another 737 Max was grounded at the Ellison Onizuka Kona International Airport, Sakahara said. He said that there were multiple flights that were bound for Hawaii that are still in whatever cities from which they originated. The airlines are switching aircraft or making other accommodations for their passengers, he said.